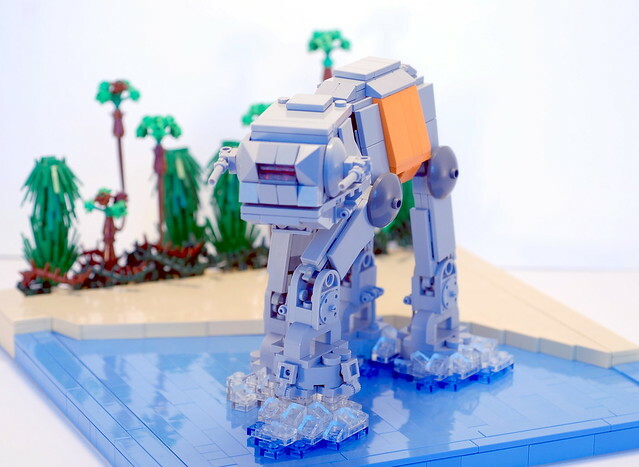 Drawing inspiration from MacLane's now classic chibi AT-AT, builder zachmoe decided to build an AT-ACT for a little adorable Scarif stomp stomp action. It's really hard to run away or draw your weapon when you're having a total squee moment and going "awww". The First Order should consider this as part of their design plan, it just might work.